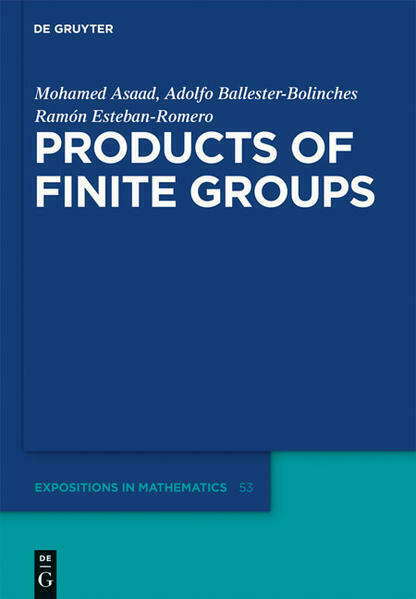 The study of finite groups factorised as a product of two or more subgroups has become a subject of great interest during the last years with applications not only in group theory, but also in other areas like cryptography and coding theory. It has experienced a big impulse with the introduction of some permutability conditions. The aim of this book is to gather, order, and examine part of this material, including the latest advances made, give some new approach to some topics, and present some new subjects of research in the theory of finite factorised groups. Some of the topics covered by this book include groups whose subnormal subgroups are normal, permutable, or Sylow-permutable, products of nilpotent groups, and an exhaustive structural study of totally and mutually permutable products of finite groups and their relation with classes of groups. 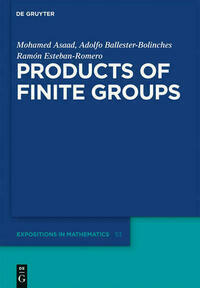 This monograph is mainly addressed to graduate students and senior researchers interested in the study of products and permutability of finite groups. A background in finite group theory and a basic knowledge of representation theory and classes of groups is recommended to follow it. Mohamed Asaad, Cairo University, Egypt; Adolfo Ballester-Bolinches, Universitat de València, Spain; Ramón Esteban-Romero, Universitat Politècnica de València, Spain.